I remember watching Woody Woodpecker as a cartoon when I was a kid. I also remember all the laughs I had while watching him. 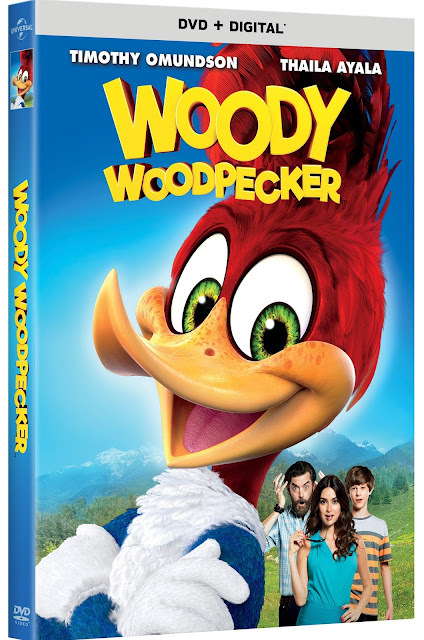 Thanks to this awesome Woody Woodpecker movie now my kids will have the opportunity to have those laughs too. We watched it this past weekend and both of my kids loved it. It was a little different than the original cartoon which only featured cartoon characters, but one thing that didn't change was how Woody made us laugh. If you haven't checked it out yet here's a fun trailer that is sure to make you want to see it soon!